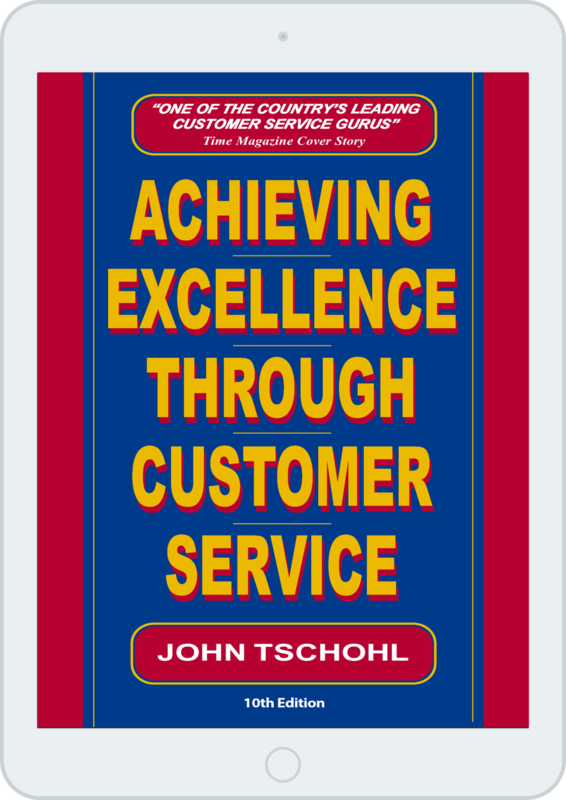 John Wrote the Book on Customer Service. For over 45 years, John Tschohl has been solely focused on helping organizations drive a service culture through his technology built on practicality, simplicity, and common sense. With his credibility and focus on empowerment, he has the ability to emotionally communicate the power of the service strategy from top executives to the total workforce. Tschohl is dynamic, hard-hitting, and inspirational. His experience and “guru” status provide the credibility critical to get management buy-in. He will create an emotional buy-in using measurable data that CEO’s respond to. His books are especially recognized and esteemed by senior executives as the most powerful must-reads in Customer Service. John’s common sense message is built around his 45 years in speaking, designing training programs, and developing a high-performance workforce.